It’s almost February,and the boys are in high gear floating,and power drifting the mountain rivers we call home. Dreamers,hopeless optimists, and ambitious anglers alike are up early and out late, on the hunt for the king of the river,the top dawg,the mighty musky. Whether you hunt with carefully crafted flies made of the finest feathers and bucktail or you’re partial to heaving handmade wood plugs dressed with some of the sexiest paint jobs in town, winter time is a damn good time to be an angler in Virginia. Interested,intrigued? 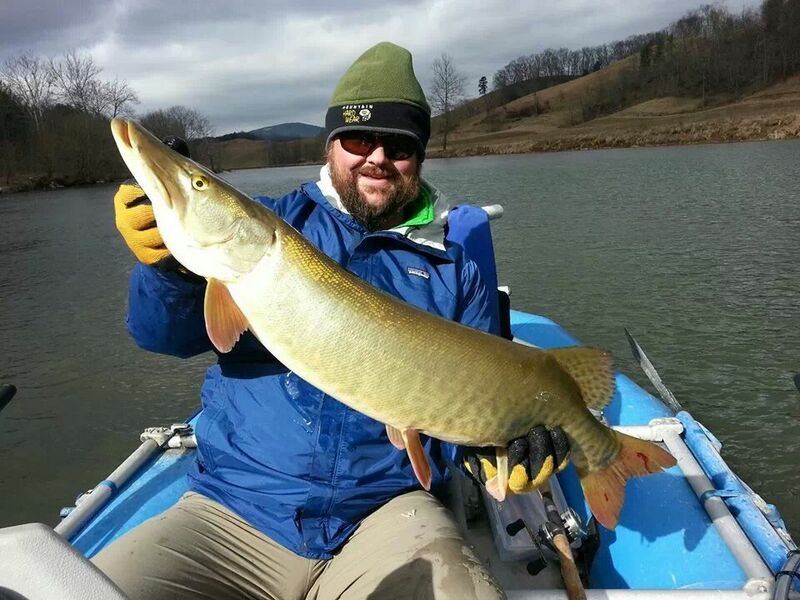 Seasoned musky angler looking to expand your range? New to the affliction and looking to learn? If you answered yes to any of those questions then you my friends are in the right spot, the guides at Rock On Charters are hard at work, sharpening our hooks and our gameplan to maximize that chance at a trophy class fish. The river is calling, the only thing missing is you!